This pains me and is the antithesis of the POINT of what concepts are supposed to be: making the business case for bringing a car to production; gauging reaction, adjusting accordingly; or flexing their design studios' muscles. We know none of those things are happening since we've already seen the production version testing forever and know styling won't change. Wouldn't it be SO much cheaper to just start teasing the production model or letting reviewers test drive a protoype? Last edited by pjl35; 04-08-2019 at 09:28 PM. agree to disagree. i have a hard time believing this is going to build significant hype beyond what is already out there (and there's not much). the general buying public pays no attention to concepts like this (or most for that matter). that's my whole point... i do not understand WHY they're going through the effort. they don't often do production ready concepts like this, save for a few exceptions that have been happening the last couple years (X Class, A Class sedan, etc), so it's not as though this is their one millionth rodeo with this type of concept. sometimes these ideas don't end up being worth it...even if it's been done before. 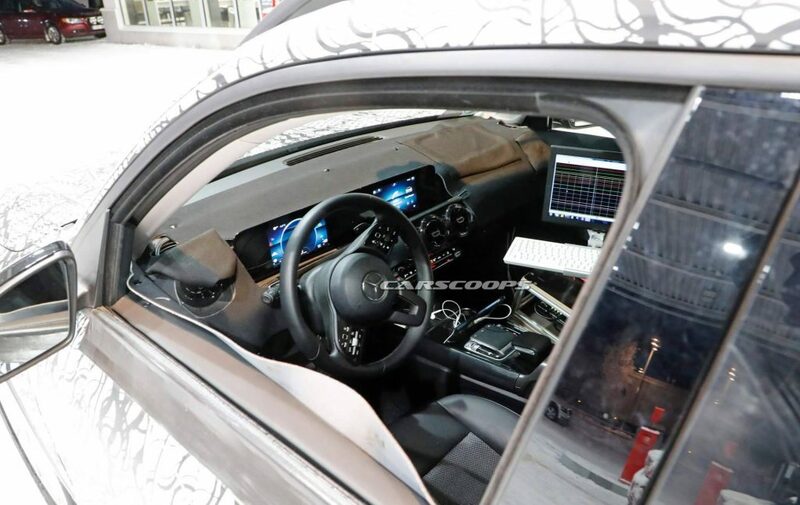 for example, why spend all that money to slightly tweak the interior to make it more "concept-y" when we've already seen that the production version will basically be the same as that seen in the A-Class? all that does is set people up for disappointment when the real thing turns out to be less exciting. all i am saying is that, IMO, his seems pointless and a waste, as I stated before, particularly for an entry level model that isn't going to be their cash cow. you can disagree...but i still think this is silly. Last edited by pjl35; 04-09-2019 at 12:49 AM. Ill agree with IcedG35 on this. The spiced up concept lets potential buyers visualize how they could pimp up their cars and might entice them more. That said, deduct the fancy add on bits and fancy interior colors, and this is a rather dull looking, clearly FWD proportioned C-segment CUV with a B-Class interior. It looks like VERY large. Does anyone have any idea how big this is? Edit: Car and Driver says the car is 182 inches. I like the look of the car, and I do think it'll appeal to a different crowd than does the GLA (which I think is horrid) and GLC. Last edited by paranoidgarliclover; 04-15-2019 at 07:11 PM.